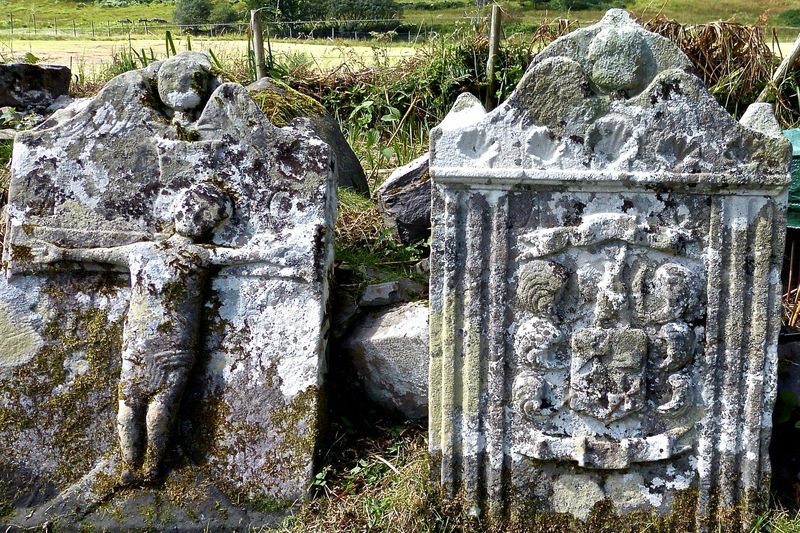 Cladh Chiarain, the walled graveyard at Camas nan Geall, one of the scheduled monuments which AHHA has adopted, contains at least six headstones, the finest of which are these two. Both have a date on the back, 1737, and the initial AC, suggesting that they were raised by the then-owner of Camas nan Geall farm, Alexander Campbell, possibly in memory of his parents. 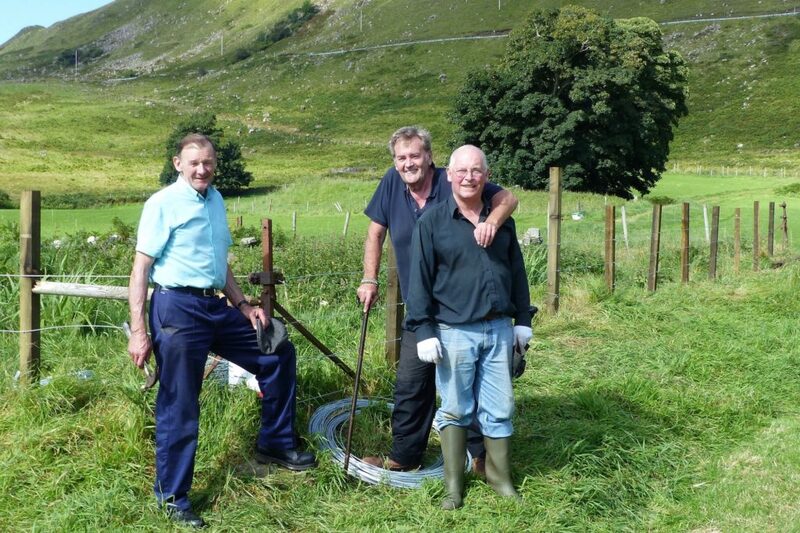 The field which surrounds the graveyard is used both for silage and the grazing of sheep, so AHHA recently renewed the fence round it, which was in a poor condition. Pictured are, from left, George, Jim and James.